There is little question that dogs can be hard on natural grass. While it may be great for play time, the grass roots are susceptible to tugging and pulling and that doesn't even account for some of the other things dogs do on grass. 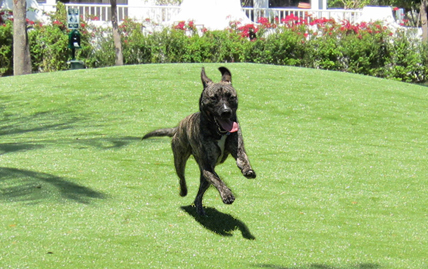 With XGrass Pet Turf, these worries disappear. With XGrass Pet Turf, mud, puddles and pesticides are a thing of the past. It requires no water and is virtually maintenance-free, saving you time, money and hassle and making it one of the most environmentally friendly landscaping solutions available. Maintaining natural grass surfacing in an area where a large number of dogs play is nearly impossible. That is why businesses from doggie daycares and pet hotels to larger Humane Society organizations turn to the XGrass Pet Turf system. 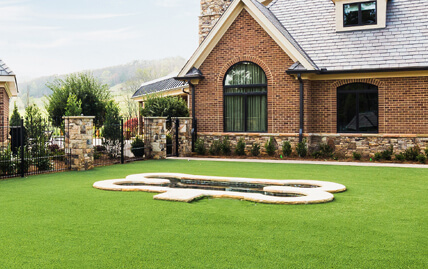 Whether you use XGrass Pet Turf or install one of our popular landscape turf systems in your yard, you and your dog will love the results. No more muddy paws when coming in from the rain, XGrass systems can handle any weather. 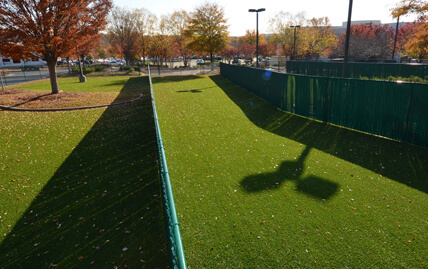 Dog parks are quickly becoming cherished parts of communities throughout the country, but keeping them in top shape is virtually impossible when using natural grass. Not only does grass face the challenges associated with weather and ongoing maintenance, but dogs can take an extra toll on the turf that makes XGrass Pet Turf an ideal alternative.